Featuring a varied collection of makes and models, Supercars 2019 belongs on the wall of any fan of these high-performance machines. Coming to you with a collection of makes and models, Supercars 2019 is a 16-month calendar that belongs on the wall of any fan of these high-performance machines. Speed, power, and head-turning great looks - there is no mistaking a supercar. 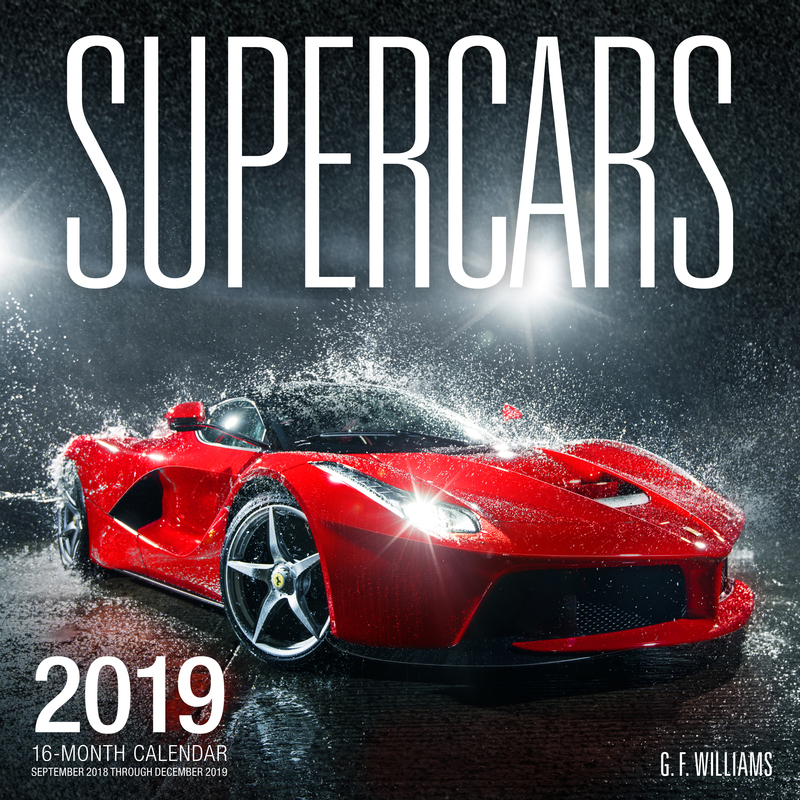 Appreciate the best from Lamborghini, Ferrari, Bugatti, Porsche, and more with this 16-month calendar featuring the stunning automotive photography of G. F. Williams. Featuring a varied collection of makes and models, Supercars 2019 belongs on the wall of any fan of these high-performance machines. The Editors of Motorbooks know their craft. Motorbooks is among the worlds leading transportation publishers, offering books created by motoring's top photographers and writers, many created with major partners like Harley-Davidson, Chevrolet, Ford and Chrysler and magazines like Hot Rod and Cycle World.